As a graduating student, there is nothing more fulfilling than to be handed with the announcement of your graduation. The culmination of your student life will not be possible without the help of people who would like you to achieve your dreams and aspirations. 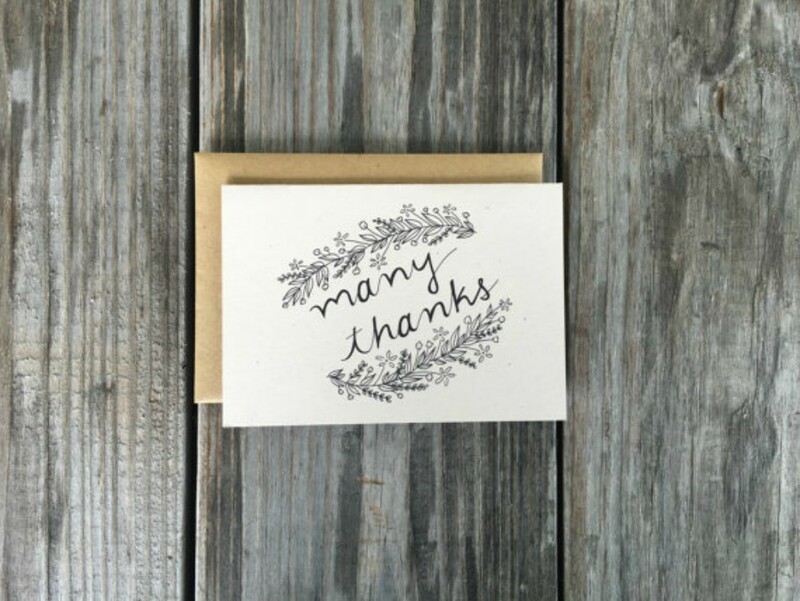 If you plan to invite someone to your graduation ceremonies or to your graduation party, it will also be the best time to give them thank-you cards. Writing a thank-you card provides an individual the platform to connect with people whom he/she would like to thank. 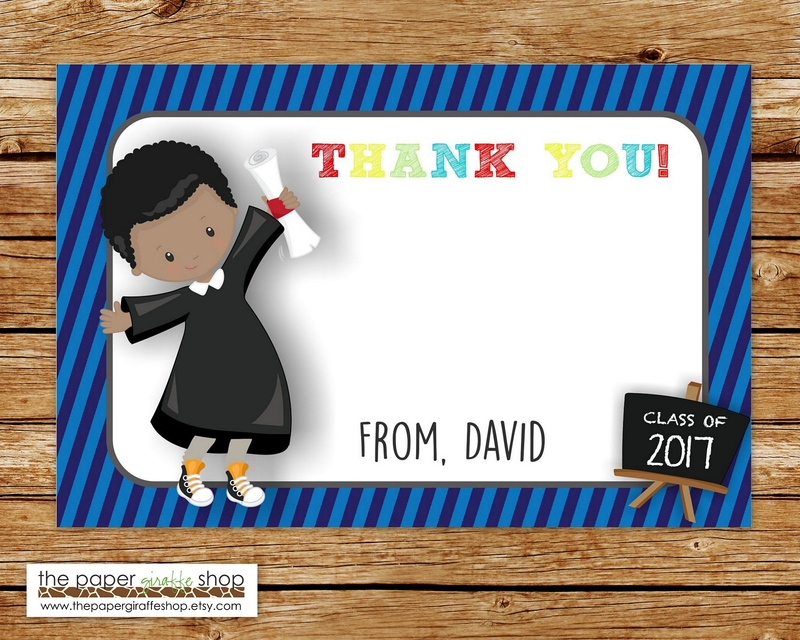 Creating a graduation thank-you card is easy, but you need to make sure that is well-thought of as it is a reflection of how you feel towards the people who you would like to give thanks to. The actual graduation ceremony. 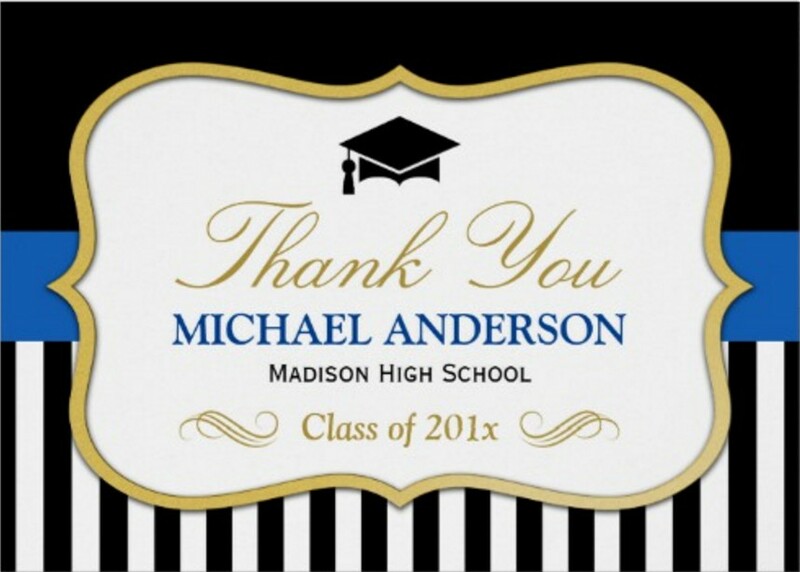 Writing a graduation thank-you card can be done even before the actual graduation date. This way, you can already give the cards to the people who will accompany you during your graduation. The graduation party. Most families provide a graduation party to their member who just finished schooling. 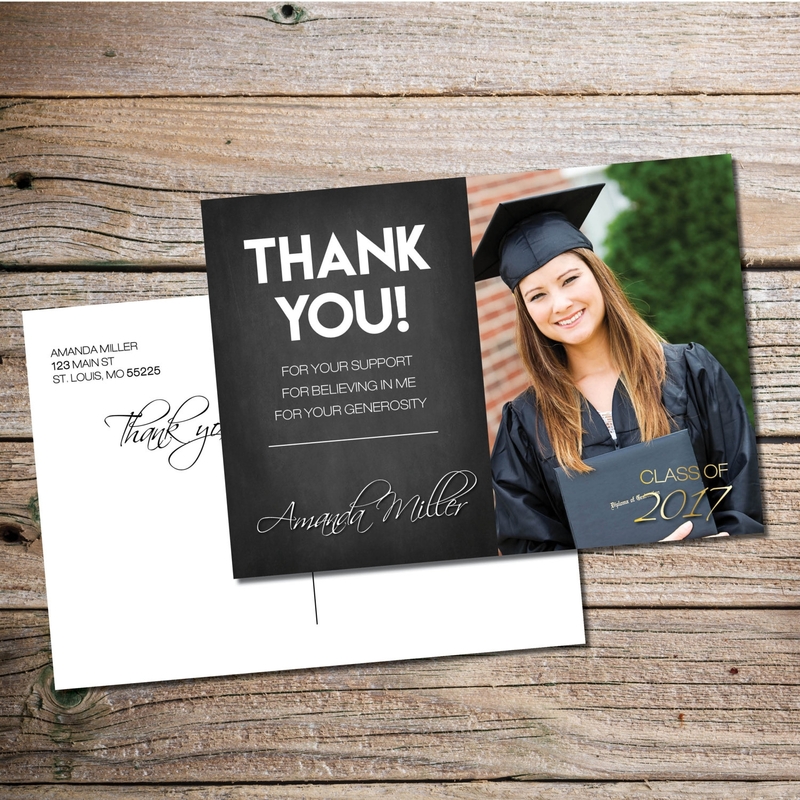 If you are aware that you will have a graduation party, you can already create graduation thank-you cards so you can easily hand them to the attendees of the party that was made for you. Any celebration for the new graduate. 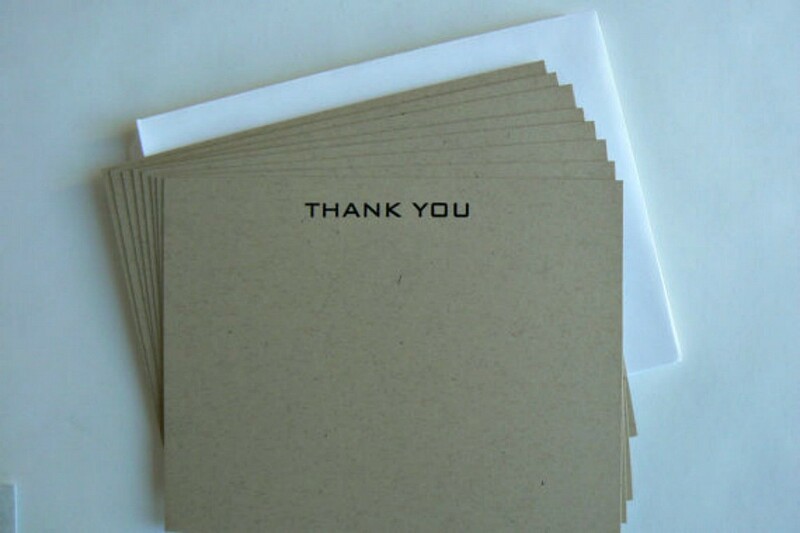 It will be best if you will always be ready for your graduation thank-you cards. You can create generic ones so you can send them right away even after the special and surprise parties that have been arranged for you by your friends, families and loved ones. A few days/weeks after the graduation. Even if all the parties for your graduation has already passed, you can still send your graduation thank-you cards to the people whom you want to send your appreciation to. Just make sure that you will consider the date of sending your graduation thank-you card as the essence of using the tool may not be as effective if you will give it on a date that is too far from your actual graduation. 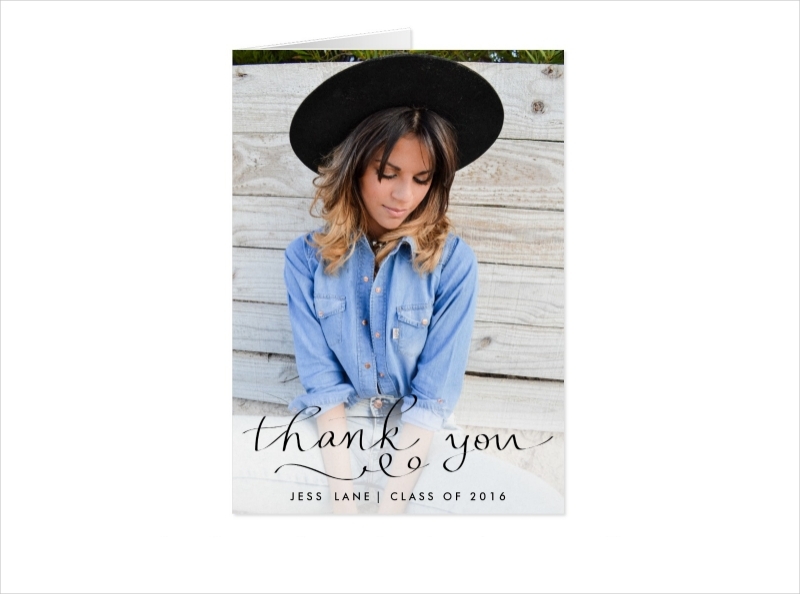 Select a photo from your graduation shoot and make it the main design point of your graduation thank-you card. You can create a color palette that is either based on your own favorites or the colors that represent your school. If you want to go down memory lane, you can make a collage of some of your best memories while still at school. A calligraphy design will also look good and trendy especially if some graduation icons, images, and symbols will be incorporated to it. The members of the organization who has given you a scholarship grant to financially support your studies, if applicable. Your family members and relatives who have given their support within your entire academic journey. Your friends, batch mates, schoolmates, and classmates whom you shared your experiences as a student with. Your professors, academic heads, and counselors. Some of your friends outside of school who you want to invite on your graduation invitation. Other people whom you think has contributed to your student life. You can use a graduation thank-you card to thank the heads and/or members of the college organizations that you have been a member of. You can use a graduation thank you card to ensure your advisers and professors that all the learning that they have provided you with will be carried out even after school. You can use a graduation thank-you card to show how you appreciate the efforts and sacrifices of your parents to ensure that your entire academic undertaking will smoothly flow so you can have a bright future ahead of you. 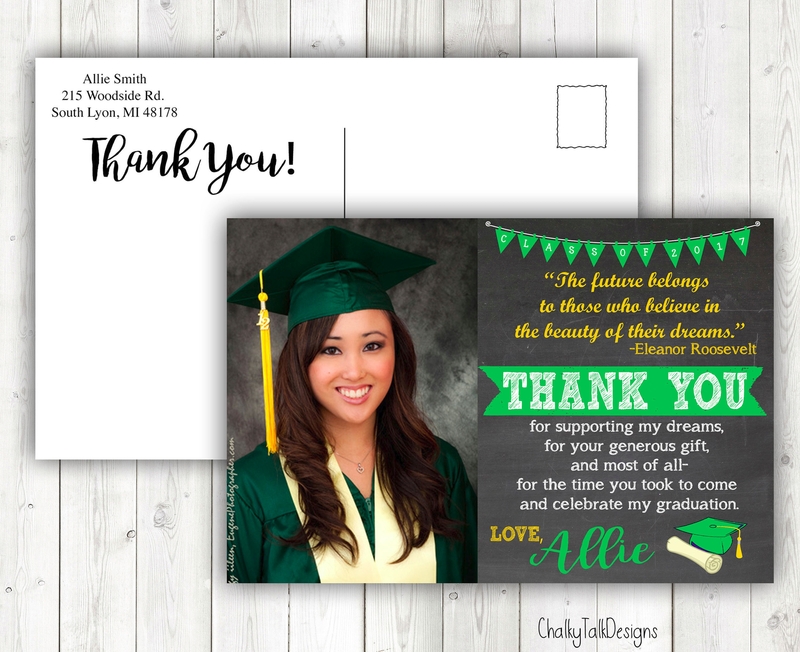 You can use a graduation thank-you card to invite people to your graduation party may it be right after the graduation ceremony or a few days after the event. You can use a graduation thank-you card to show your gratefulness to the people, organizations and other entities who have helped to supply your needs as a student which led you to the moment of your graduation. You can use a flyer-type design. Here, you can use the entire space that a page can offer. Usually, a business-size paper is used to achieve this kind of format. You can also create a brochure. 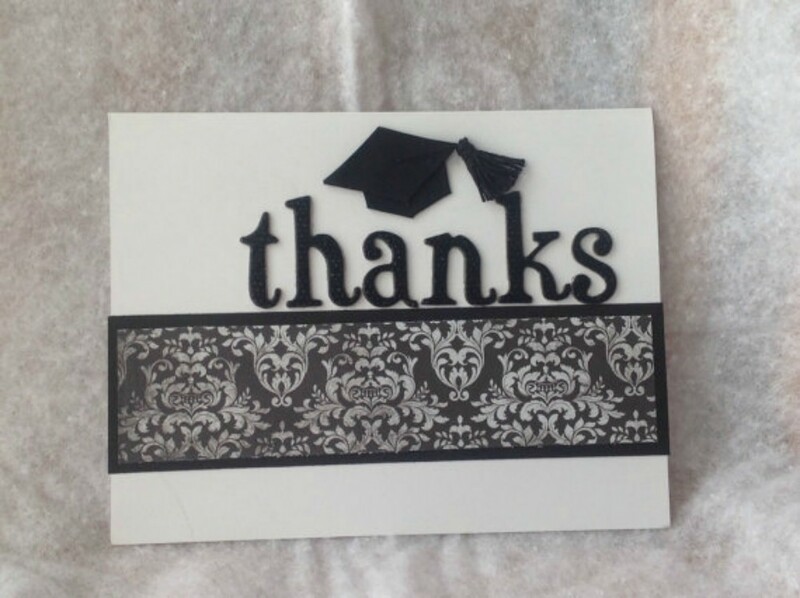 Do this by folding your graduation thank-you card to parts depending on how many folds it is that you would like to have so all the information and design items that you would like to include will fit in the tool. Use a normal card layout. Fold your template into two and make a book-like layout where you can place your thank-you messages. Make sure to properly design each area to make the card look cohesive and well-put together. Write genuinely. You need to make people believe that you truly appreciate their help and contributions. More so, you have to make them feel that they are a part of the celebration. It is very important to write your thank you messages from the heart. Know the number of people that you will invite in your graduation party. This will allow you to prepare the exact number of graduation thank-you cards that you will give the attendees with. Balance the design and the content of your graduation thank-you card. Make sure that you will include all the details about the graduation ceremony and/or party without making the card look boring. Review the information that you have included in the graduation thank-you card. Ensure that all the details are correct and updated so no misunderstandings may occur especially when it comes to dates, locations, and guides. A graduation thank-you card may be a simple tool but it can surely showcase the genuine happiness of the new-graduate. By using this card, people who have played a vital role in a variety of phases that the individual has undergone during his entire academic journey can share that happiness with him/her.